The human body is an amazing thing. Most people live their entire lives without exploring the limits of their movements and ability of distorting one’s self into different shapes. The way the joints move and the way the spine bends has so much potential. I, for one, can’t imagine a person who wouldn’t be mesmerized while watching a contortionist throughout their act. 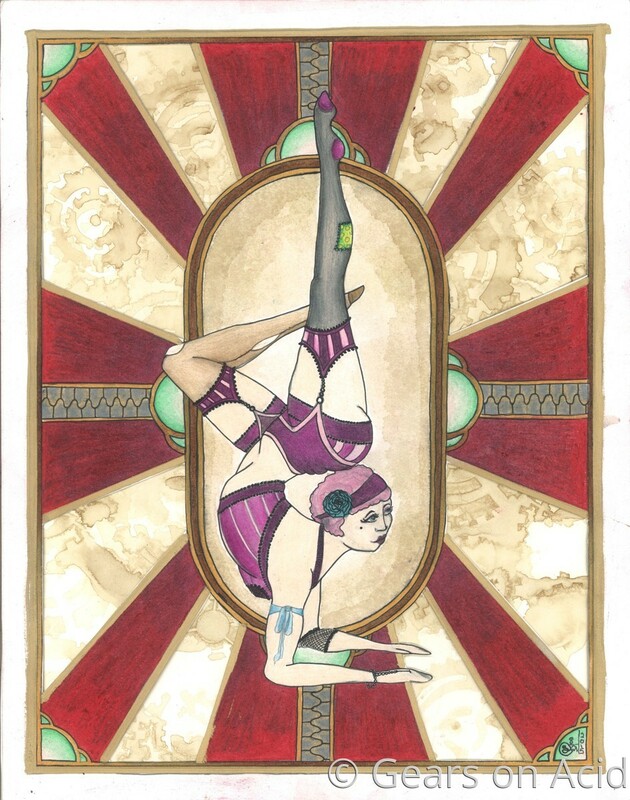 This series touches on the beauty of contortionism in the costume of early back alley vaudeville. 10.25" x 8"14" x 11"17.75" x 14"21.5" x 17"28" x 22"